The International Association of Artists has for more than a decade had the objective to organize the artistic and cultural network. IKV has an international membership community - and they exhibit internationally. In March/April 2017 they exhibited for the first time paintings with the topic of FoodWaste at the National Museum of Kenya in Nairobi - now IKV decided to focus this topic again in July/August 2018 at the Gallery of the Mayor's House in Menden/Germany. Also in Africa "Affordable Art" is a hot topic - presented for example in November of 2017 at the Nairobi National Museum. One of the specials for this exhibition: Free admission at Nov. 4/5th! The Affordable Art Show is the largest juried art show in East Africa, which covers 300 entries from Kenya and neighbouring countries. There is a second special at Saturday morning: the Children's Art Appreciation Tour through the exhibition - followed by a session of painting for the children, to explore their creativity. In Latvia the "KOKLES" is a very important, ancient music instrument for the Latvian folk music. It can be traced back to 6th century. It is played around the Baltic states in Latvia, Lithuania, Estonia, Finland and small part of Russia. Rozīte Katrīna Spīča (CV) is introducing KOKLES not only around Latvia - for example at the opening of the three ISMA CONFERENCES (see: European Retail Academy ) - but also in Australia, Finland, Germany, Georgia, Israel, Italy, Lithuania, Poland, Russia, Spain, USA (see also YouTube Video). The Tretyakov family moved from the city of Jaroslawl to Moscow in the 18th century. They were textile merchants. In 1856 P.M. Tretyakov started his private Gallery for national Russian art; in 1892 he transferred the ownership of the museum to the City of Moscow. 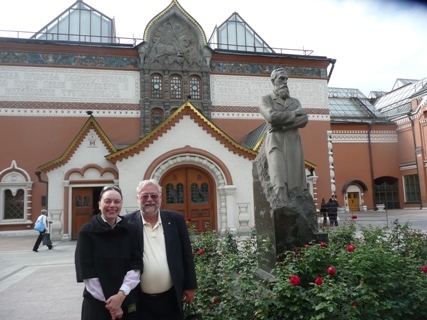 Due to a long-standing friendship between the Tretyakov director Sofia Petrikova-Agafonova and Prof.Dr.B.Hallier now Tretyakov is planning for March 2018 an international workshop together with M.-C. Hallier about the role of museums for underpriveledged children ( see also: YouTube Tretyakov). Karen Blixen became globally well known in 1985 by the film "Outside of Africa" directed by Sydney Pollack and with stars like Meryl Brandauer, Robert Redford and Klaus Maria Brandauer. The film - which is based on the autobiography of Blixen - reflects in the time of Colonial British East Africa the genre of love with a tragic end. M.-C. Hallier (www.mariechristinhallier.wordpress.com) visited during a Kenya-stay Blixen's former coffee-farm (today integrated into a Nairobi-suburb) ; being very much impressed by the building, its environment and history she summarized her feelings from the point of an art therapist (See Link : Chart Lecture). 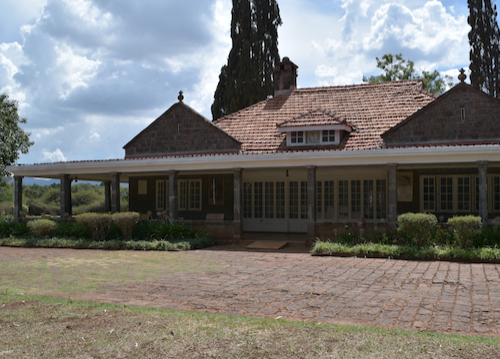 For her Blixen's books and paintings are hints that both disciplines have been at least partly self-therapy of a great lady being very unhappy.